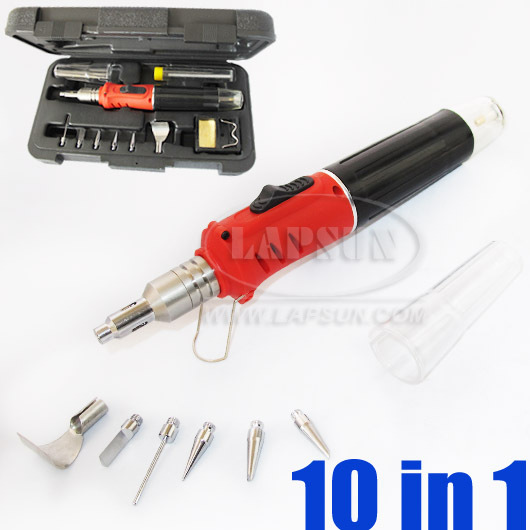 10 in 1 Butane Welding Gas Soldering Iron Torch Kit. 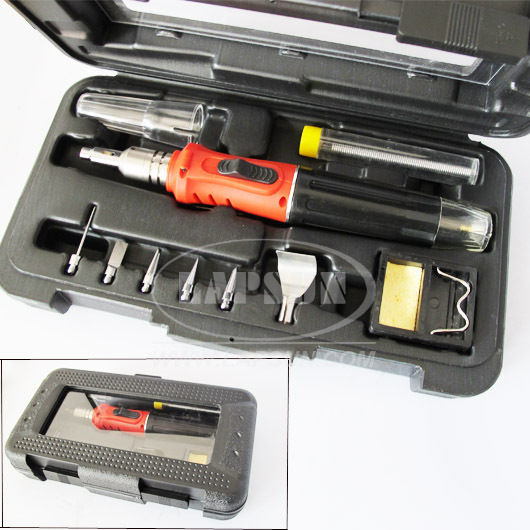 It features plastic and metal construction for long time use. 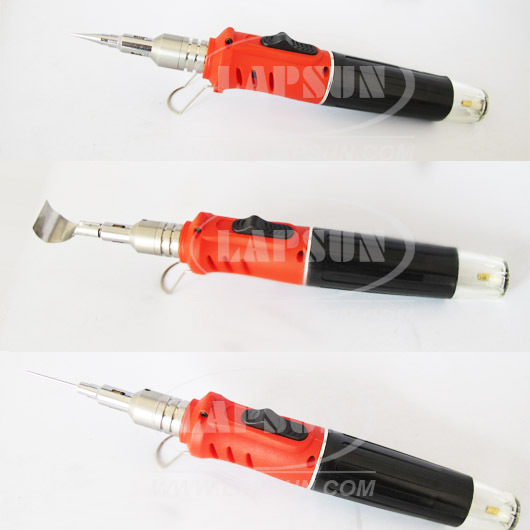 The Butane Soldering Iron Torch is refillable (gas not included). 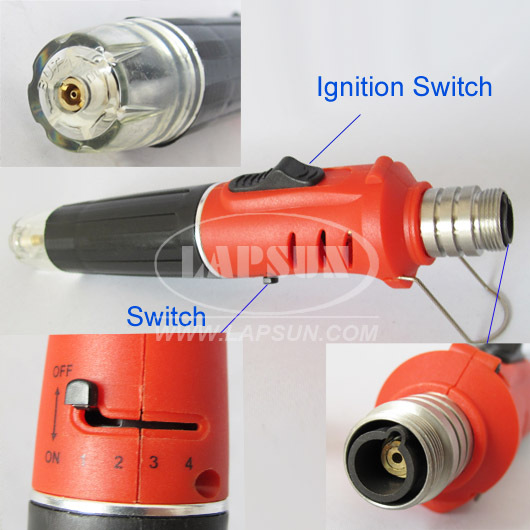 With ignition switch, ON/OFF switch and flame adjust switch for easy operation. Lightweight, compact and portable, this Gas Welding Iron Torch offers go-anywhere soldering convenience. It is great for home, shop and work place.